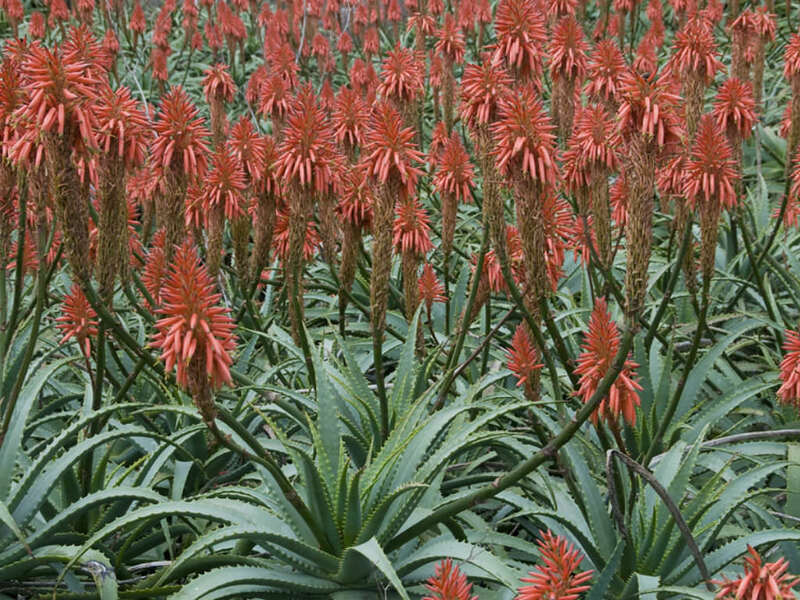 Aloe arborescens is a large, multi-headed, sprawling succulent up to 10 feet (3 m) tall, with many, up to 18 inches (45 cm) wide rosettes of narrow, soft-toothed, margined, dull green, yellowish or sometimes blue-green leaves. Deep orange, almost red (there are also pure yellow forms) flowers hang tightly on unbranched inflorescence that rises up to 2 feet (60 cm) above the foliage. 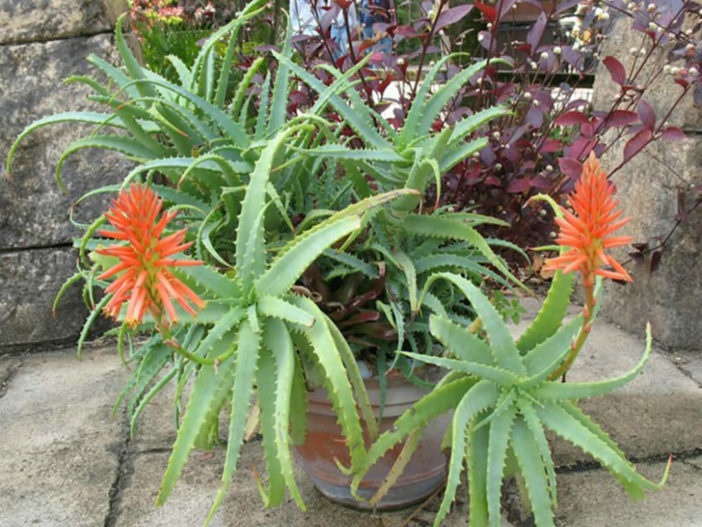 Torch Aloe is an easy and rewarding plant to grow and is a popular garden plant in many countries. 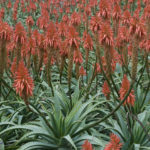 It enjoys full sun, well-drained, compost-enriched soil and can tolerate moderate frost but is sensitive to severe frost. 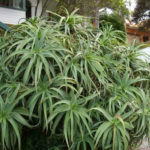 It is fast-growing and it will tolerate drought and neglect once established. 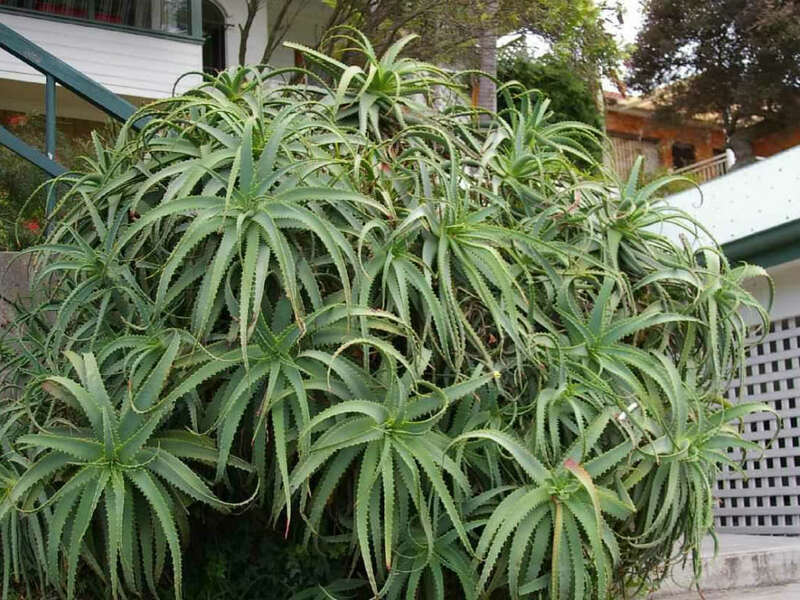 It is grown mainly as an ornamental or as an accent plant, but is also an excellent and impenetrable hedge plant. 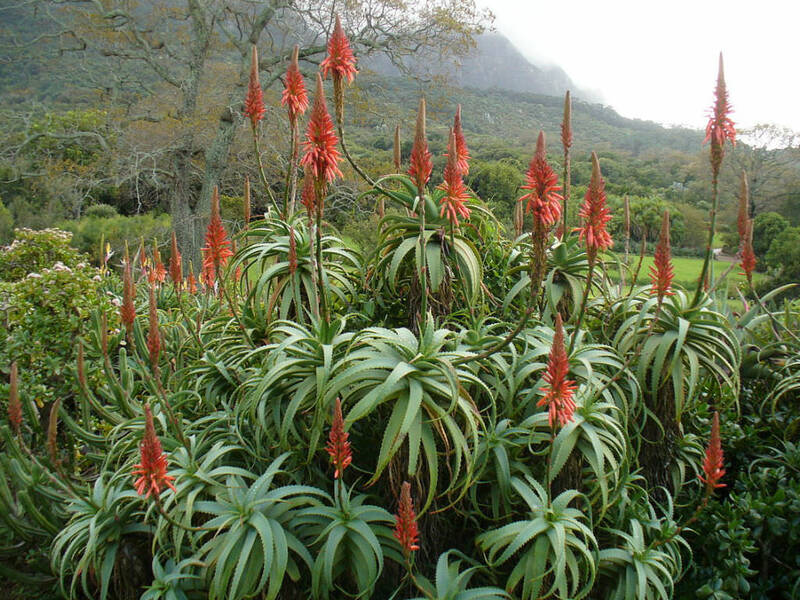 During the active growth period water plentifully as often as necessary to keep the potting soil thoroughly moist. During the rest period water only enough to prevent the soil from drying out. Apply standard liquid fertilizer every 2 weeks during the active growth period. 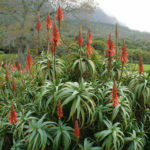 Aloe arborescens is native to the south eastern part of southern Africa (South Africa, Malawi, Mozambique and Zimbabwe).